Start planning to join DSD on our traditional trip that starts spring off right! 4 Days & 3 Nights in the beautiful northern FL Keys, accommodations at Ocean Point Suites Resort and 3 Days of Diving with Conch Republic Dive Center. From our location we will have access to diving the reefs in and south of Pennekamp National Park & also access to wreck diving on the Eagle, Speegel Grove and Duane. Arrive early / stay longer / dive more!!! 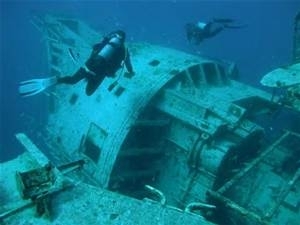 This is a great trip for Open Water, Advanced OW, Enriched Air, Wreck/Boat/Night diver specialties! Inquire about any of these and more training opportunities when reserving your spot on this fantastic trip!!! Copyright © 1998-2019 Deep South Divers. All rights reserved.